I’ve always been keeping diaries and loved the idea of illustrating them and pasting stuff like chat conversations in them. 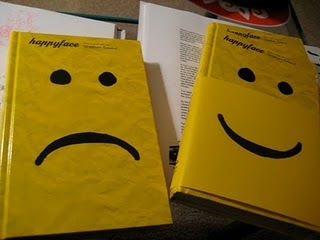 So I couldn’t not like Happyface. It’s a fictional, beautifully illustrated diary. The protagonist moves to a different city and gets the chance to redifine his personality!